Some shops are devoted to carbon dioxide-based extractions, others operate mostly on butane-centric machinery, and a few employ machines of both stripes and more. 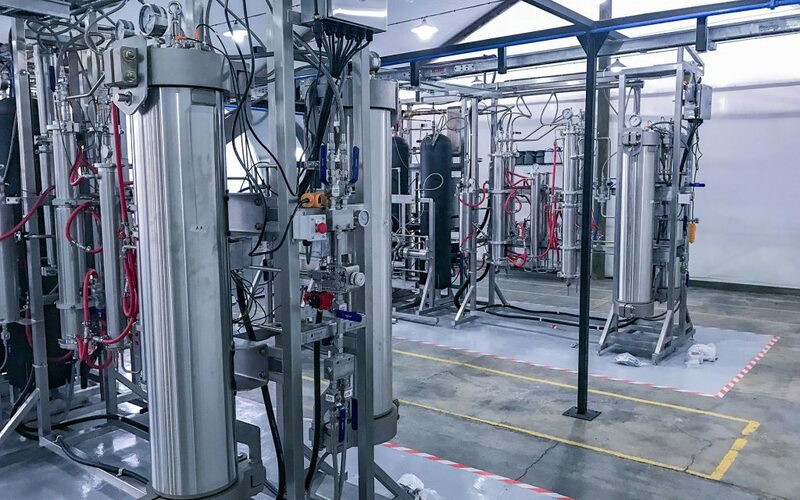 Some will have large-scale machines for extracting cannabinoids—as well as other important cannabis compounds like terpenes—from big batches of flower, and smaller setups that let them conduct experiments on the side. Oregon-based Sweet Cannabis, for instance, is home to a variety of different extraction machines that put multiple technologies to use. The workhorse for the shop, though, is an F-Series extraction unit from Vitalis Extraction Systems. Just as important as the equipment itself, says Swanson, was the relationship that Vitalis cultivates with extractors employing its equipment. The Vitalis techs who drop by every so often for mechanical checkups are also partners in an information exchange who often come bearing suggestions from other Vitalis users—and pick up some pro tips from Swanson and his team.